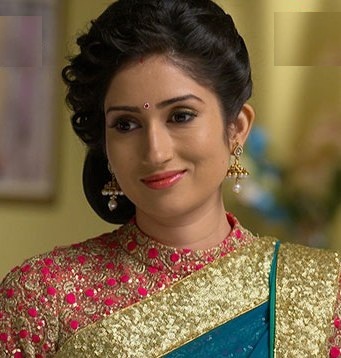 Gungun Uprari is a gorgeous and popular actress from India who mostly appears on the small scree particularly in Hindi TV shows. She hails from Lucknow, in Uttar Pradesh which is the biggest Indian state apart from being born on 9th December 1984. She did her schooling and college from the state capital and has been very much active in her field of drama and acting. Talking about her education, she has done her graduation in Mass Communication and then after completing the same she went to Bombay to make her career in the showbiz market. Some of her popular TV shows include Bandhan Saat Janamon Ka as Jhanvi Aggarwal in 2008 while in 2010 she did another TV show called Rakt Sambandh wherein she worked as Shreya. She then was seen doing another TV show in 2011 called Haar Jeet as Salima Abdullah/ Rehana Sultana. Some of her other TV shows include Sang Mere Dol Tu, Hongey Judaa Na Hum, Jo Biwi Se Kare Pyaar, Ganga and Prem Ya Paheli. Now talking about her personal life, she is married to Vinod Upari who happens to be a businessman and has known to have a 10 years daughter. Talking about her family, she has two elder sisters who are based in Lucknow and are lecturer by profession while her father is a retired banker and mother a housewife. She has been active over the small screen since the year 2008 and has been making headlines for doing a number of TV shows.